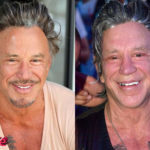 Mickey Rourke Plastic Surgery: Is It Enough? 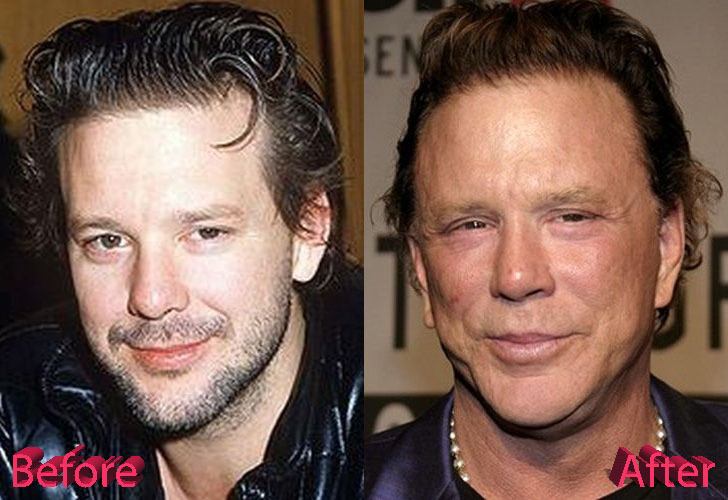 Born Philip Andre Rourke Jr. on 16th September 1952, but professionally he is called Mickey Rourke. 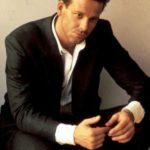 He is a screenwriter, retired boxer, and an American actor. He has been the lead man in many actions, drama and thriller movies. These include; Diner (1982), Rumble Fish (1983), The Pope of Greenwich Village (1984), 9 Weeks (1986), Barfly and Angel Heart (1987). 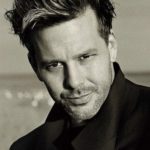 He has been a supporting cast in the following films; The Rainmaker (1997), Buffalo ’66 (1998), Get Carter (2000), The Pledge (2001), Spun (2002), Once Upon a time in Mexico (2003), and Man on Fire (2004). 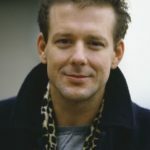 Mickey has won many accolades such as; Chicago Films Critics Association, Irish Film and Television Awards, and Online Film Critics in 2005. 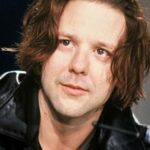 He received a Golden Globe Award, BAFTA Award, and a nomination for an Academy Award for the film The Wrestler. 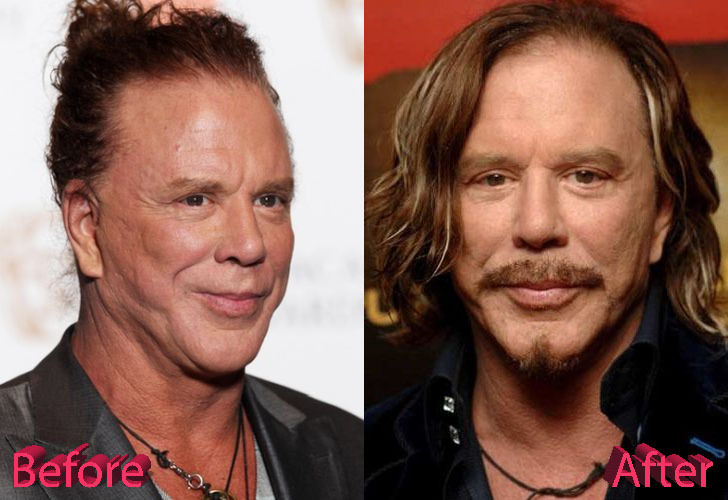 With all these numerous accolades what was the reason for Mickey Rourke Plastic Surgery? 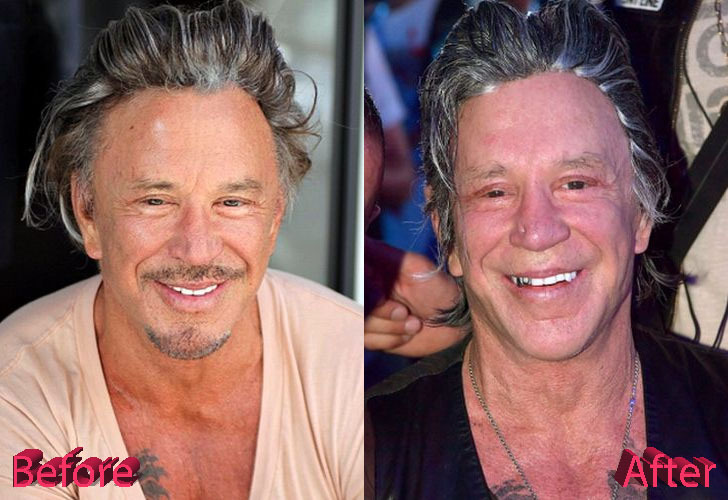 Firstly, it is no secret that there are numerous plastic surgeries Mickey Rourke has had to undergone over the years. What are the main reasons for these numerous surgeries? 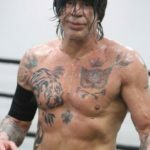 The once handsome young man, who starred in the heartthrob film Angel Heart, lost his good looks due to many years of boozing and furthermore the short stint in boxing he had. This stint made him have a smashed up face which necessitated reconstructive surgery. 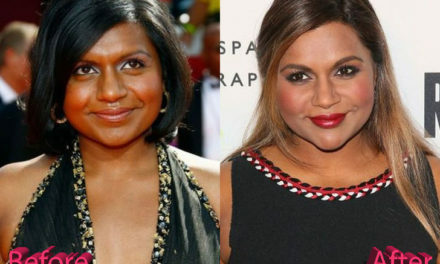 This first surgery has led to other plastic surgery. Mickey admits that the first surgery wasn’t good. He publicly admitted that he left the job to the wrong man and that’s why he has continually tried to correct this anomaly ever since. 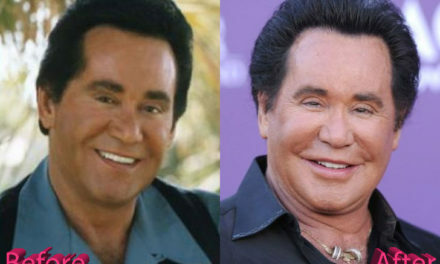 He admits to having five plastic surgeries just to correct the mess on his nose and one for a smashed cheekbone. 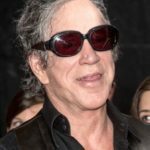 He admits to having a cartilage been taken from his ear to reconstruct his nose. More surgeries have followed to reconcile the cartilage taken since the scar tissue didn’t heal appropriately. He says that was his most painful surgeries but the worst was hemorrhoids. According to the media, Mickey lately has undergone a facelift, upper eyelid lift, and hair transplants just to name the few that are known. 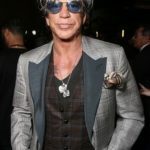 Rumors go with the fact that there is an unnatural curve between is cheek and ear and the now attached earlobe are indications enough that a facelift was true. 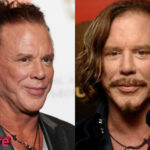 One Doctor goes ahead and suggests that Mickey lost his sideburns due to a badly done facelift. 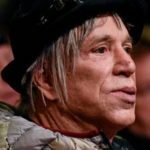 Some photos surfaced in 2012, which showed Mickey looking like a freak, due to his swollen face, bandages head, and battered face. 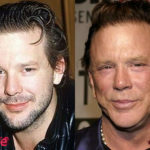 The photos gave insight to the surgeries Mickey Rourke was undergoing. Don’t you feel sorry for the man?However, all is not gloom. 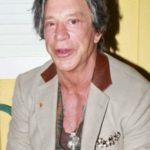 Pictures doing rounds now shows a handsome Mickey Rourke. His earlier craggy face now looks well-tanned, toned, some new distinctiveness on his chin, and while his top lip is well shaped by the mustache. This new appearance is a new look compared to what he looked before. 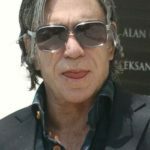 Another twist to his new look might be that he is dating Anastassija Makarenko a Russian model since 2009. 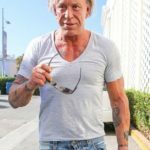 We hope that Mickey Rourke Plastic Surgery is a thing of the past, and he would just stop with numerous procedures, especially for his sake. NextSarah Jessica Parker Nose Job: Just a Gossip?